Andrew is an Investment Manager in our Diligence Team and focuses on construction and infrastructure disputes. He assesses the suitability of cases for Augusta’s investment and manages the legal diligence process for the deployment of funds. As an experienced construction lawyer, Andrew understands the nuances of a construction dispute and works closely with clients to develop innovative and practical funding solutions. 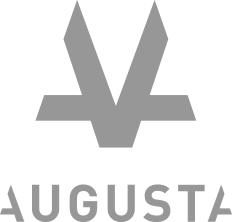 He also advises Augusta on our portfolio finance offerings to construction and infrastructure clients. Andrew joined us from leading US law firm Akin Gump where he worked predominantly on international arbitrations under EPC contracts for major infrastructure projects. Prior to that he was with Pinsent Masons. Andrew has worked with most standard form construction and engineering contracts and has specific expertise in FIDIC, NEC and JCT. He has conducted English litigation in the Technology and Construction Court and Court of Appeal, arbitrations under ICC, LCIA, DIAC and DIFC-LCIA rules and numerous adjudications. Andrew is a Barrister and Solicitor of the High Court of New Zealand and holds an LLB and a BA from Victoria University of Wellington.